My goal is to go as far in sports broadcasting as the tools I have acquired will take me. In nearly four years at Longwood University, I have engaged in radio broadcasting, sports broadcasting, the ins and outs of television broadcasting and have even taken to the stage as an actor. The skills I have acquired have served me well in the professional world as an intern for a very good size television market. More importantly the people I have met and the people skills that have culminated will no doubt make my assets invaluable to potential employers. My name is Nathan Epstein and I am a recent graduate of Longwood University in Farmville, Va. I attended high school in Richmond, Va, but was originally born in Norfolk, Va. While studying communication with a focus on mass media at Longwood, I immersed myself in the campus media. 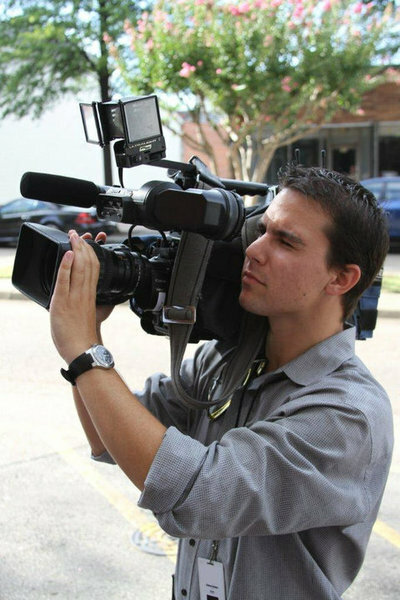 Since my freshman year, the skills I have acquired range from radio talk show personality, sports broadcaster and producer to videographer, editor, and writer for the campus newspaper. I am a young and enthusiastic sportscaster, and whomever I am employed by will notice that same enthusiasm as I look to advance in the field of sports broadcasting. Bruce is currently the head sports anchor for WavyTV channel 10/FOX43 in Portsmouth. Channel 10 covers all of the Hampton Roads area, and Bruce has held this position for over 30 years. Kinloch is one of the highest ranked private golf clubs on the east coast. As a caddie, my duties included carrying up to 2 member or guest golf bags for one round of play, provide accurate yardage to players, read breaks on greens with precision and relay those reads to the players and keep the players' clubs clean. In addition, I was responsible for repairing divots and ball marks on the greens, keeping score and most importantly keeping up with the players for whom I was caddying. Another skill that was a must as a caddie was the ability to relate to the players; treat them with respect while making their experience at Kinloch fun and enjoyable. WAVY-TV is the #1 rated news source for the Hampton Roads, Va area (market #43 in the United States).